Dr Sally Reynolds, Bournemouth University. Around one million years ago, early humans were skilful at using the landscape features of the Kenyan Rift to ambush and kill their prey, according to new research published in Scientific Reports. The area was a popular grazing site for larger animals (e.g., giant gelada baboons, elephants, hippopotami and the spotted hyenas) due to its locally high nutrient levels and the presence of an ancient freshwater lake, together with the relative lack of dangerous predators, such as lions. An interdisciplinary team of anthropologists and earth scientists have shown that animal movements were constrained to particular pathways due to the restrictions imposed by the landscape. Early humans became adept at predicting these pathways enabling them to ambush large and dangerous animals as evidenced by the butchered remains present at the site, in association with numerous stone tools. Previous discoveries in the Olorgesailie region of the Kenyan Rift include a large number of Acheulean hand axes, associated with the butchery of large mammals and indicated that the area was well populated with hominins, who returned to the site repeatedly. The region looks significantly different today than it would have done a million years ago due to a combination of climate changes, earthquakes and volcanism. However, the research teams were able to adjust for the effects of fault motion, making corrections for erosion and the deposit of sediment, to create a model of the ancient landscape and show how our ancestors could have exploited it. Explaining why the landscape of the area a million years ago would have been conducive to ambush-based hunting techniques, Dr Reynolds said, “The Olorgesailie region was particularly well placed for ambushing larger animals because the landscape limited the routes taken by those animals as they travelled through the area. Areas of higher elevation provided excellent lookout points as well. 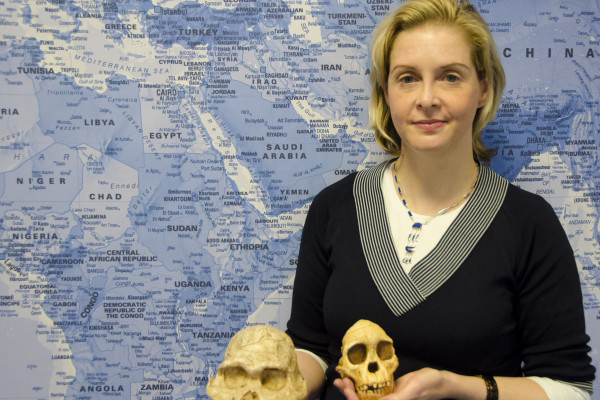 The work provides a new and exciting landscape-based framework in which to evaluate this and other hominin sites and as such will change the way we interpret our ancestral record.